Internet firm Mail.ru has sold its remaining shares in social network group Facebook for $525 million, making a hefty profit on its original investment and paving the way for a possible one-off payout to shareholders. Mail.ru, part-owned by Russia's richest man, Alisher Usmanov, bought a small stake in Facebook for $200 million in 2009. It sold some of that in the U.S. group's flotation last year and has also sold its shares in U.S. daily deal website Groupon and game maker Zynga as part of a drive to focus on its Russian operations. "This is consistent with everything they've said since their IPO, which is that these were noncore investments and that they would dispose of them at an appropriate time and return cash to shareholders," said Renaissance Capital analyst David Ferguson. "It is an ongoing recognition that their focus is on a core Russian social, communication and gaming business, and that's where they will continue to allocate their time." Mail.ru, which was spun out of social media investor Yuri Milner's DST funds and went public in 2010, said Thursday that it had sold its remaining 14.2 million Facebook shares — equivalent to a stake of less than 1 percent — in July and August. VTB analyst Anastasia Obukhova said the company had picked a good time to sell. Facebook shares plunged in the wake of their $38 debut in May 2012, but have since bounced back to trade above that level, rising 53 percent so far this year. Ferguson said he expected Mail.ru to use the cash to pay a special dividend, which could be announced towards the end of the year. He estimates the company has around $780 million of cash. Using the cash to pay dividends would be consistent with Mail.ru's past moves. In February, it announced a special dividend of $4.30 per share, worth $899 million, following the sale of shares in Groupon, Zynga and Facebook. 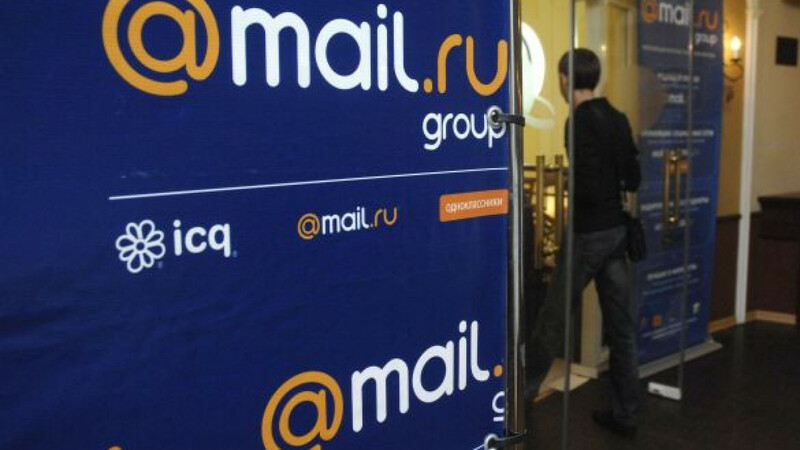 Mail.ru is also expected at some point to sell a stake it holds in Russian payment transfer company QIWI, which went public on Nasdaq earlier this year, said Renaissance's Ferguson, who added that the investment was "locked up until Oct. 29 and worth $234 million currently." Mail.ru, which did not disclose the details of its previous Facebook share sale, declined to comment on what it would do with the proceeds from the latest sale. It also declined to comment on its plans for the QIWI stake. The company also reported Thursday a 28 percent rise in first-half net profit to 5.1 billion rubles ($151.8 million) and nudged up its revenue growth forecast for 2013 on the back of fast growth in advertising and games. It expects its revenue to rise by 27 to 29 percent in 2013, up from previous guidance of 25 to 28 percent, though still below last year's growth in sales of 39 percent.